Michael Metcalf worked for many years at CERN. He is the author or co-author of a range of publications, including forerunners to the present volume, as well as Effective FORTRAN 77 (Oxford University Press) and FORTRAN Optimization (Academic Press), and a number of contributions to technical encyclopaedias. John Reid is well-known as a numerical analyst and is a co-author of Direct Methods for Sparse Matrices (Oxford University Press). He is the Convenor of the ISO Fortran Committee and has played a leading role in the development of many of the features of modern Fortran, especially of coarrays. Malcolm Cohen is a mathematician and the leading compiler writer at NAG. 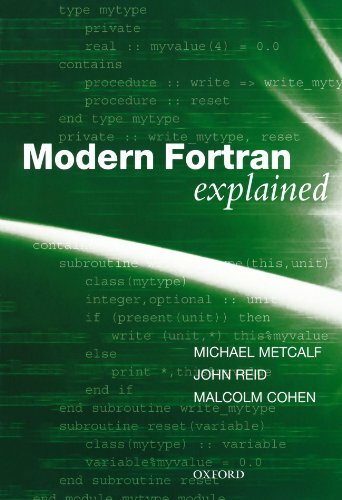 He has participated actively in the development of the Fortran standards, being a major designer of the objected-oriented features. 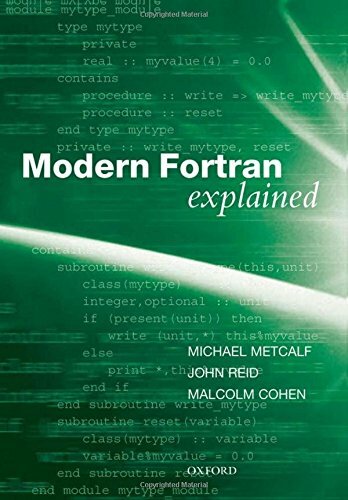 He is the Editor of the Fortran 2008 standard.